How do I download form into a pdf please? When I try to download a pdf from a created form, I only get a blank pdf. If what you're trying to do is convert your online form into a PDF, just click MY FORMS at the top > click your form to highlight it > MORE > CREATE PDF FORM. Give that a spin and if you're still getting a blank PDF, share your Form URL/ID with us so we can have a closer look. I see you are in a guest account, I advise that you register an account to JotForm to make that you can properly use the Convert PDF feature. Registration is free and you do not need to pay anything, make sure to use the same email address when signing up. You can signup using this link: https://www.jotform.com/signup. 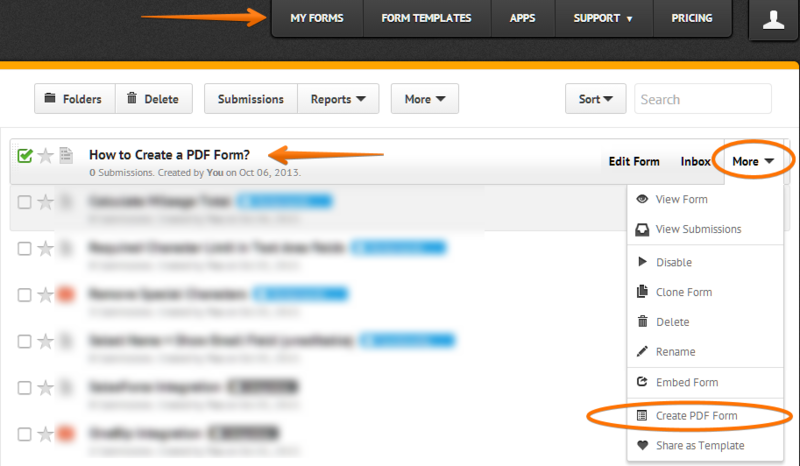 After completing the sign up process, login using your username and use the "Convert PDF Form" option again. I thought I had signed up. I forgot to mention, once you successfully signed up using the same email address, the forms in your guest account should automatically show up on your registered account when you log in.